NEW YORK, NEW YORK (March 21, 2019) — Thomas Larcher’s Symphony No. 2 (“Kenotaph”), premiered in 2016 by the Vienna Philharmonic under Semyon Bychkov, is given its U.S. premiere by Mr. Bychkov and the New York Philharmonic at David Geffen Hall on Wednesday, April 24 at 7:30 p.m. In the few years since its composition, the work has been performed by orchestras across Europe, including the BBC Symphony Orchestra, Deutsches Symphonie-Orchester Berlin, Finnish Radio Symphony Orchestra, Munich Philharmonic, and Radio Filharmonisch Orkest. In 2018, Mr. Larcher was awarded the Fondation Prince de Monaco’s €75,000 Musical Composition Prize for this symphony. Previous recipients of this award include George Benjamin, Pierre Boulez, Elliott Carter, George Crumb, Péter Eötvös, Sofia Gubaidulina, György Kurtág, György Ligeti, and Michael Tippett. In addition to receiving its U.S. premiere on April 24, Mr. Larcher’s Symphony No. 2 is performed by Mr. Bychkov and the New York Philharmonic at David Geffen Hall on Thursday, April 25 at 7:30 p.m.; Saturday, April 27 at 8:00 p.m.; and Tuesday, April 30 at 7:30 p.m. The program also features Brahms’s Symphony No. 4. Tickets starting at $33 may be purchased online at nyphil.org, by calling (212) 875-5656, or at the David Geffen Hall Box Office. Mr. Larcher was commissioned to write Symphony No. 2 by the central bank of Austria (Oesterreichische Nationalbank) to mark its 200th anniversary. He dedicated the work to Semyon Bychkov, who worked closely with him leading up to the world premiere in Vienna and went on to conduct the symphony’s U.K. premiere in 2016 (see below), followed by performances with the Munich Philharmonic in 2017. In addition to the above award, Mr. Larcher won the City of Vienna’s 2018 Ernst Krenek Prize for Symphony No. 2. Previous recipients of this €10,000 award include Georg Friedrich Haas, Olga Neuwirth, and René Staar. Currently, Mr. Larcher is composing his Symphony No. 3 on commission from the Royal Concertgebouw, where he is the 2019–20 Composer in Residence. The work will be premiered at the hall’s annual Mahler Festival on May 9, 2020 by the Radio Filharmonisch Orkest under Hannu Lintu. Mr. Larcher is also composing a work for solo piano to be premiered by Paul Lewis on June 8 at the 2019 Aldeburgh Festival, where the composer is one of three Artists in Residence this year, alongside Barbara Hannigan and Mark Padmore. Additionally, from June 7 to 9, the festival presents the U.K. premiere of Mr. Larcher’s first opera, Das Jagdgewehr (The Hunting Gun), which was given its critically acclaimed world premiere last year at the Bregenz Festival. The opera will also be performed at the Dutch National Opera in March 2020. Born in Innsbruck in 1963, Thomas Larcher grew up in Austrian Tyrol, later moving to Vienna where he studied composition and piano. His early career combined composition, performance, teaching, and festival direction. He turned increasingly to composition as the number of commissions from musicians and institutions grew over the years. From the very beginning, Mr. Larcher’s music has reflected an interest in crossing stylistic boundaries while also drawing upon avant-garde innovations. 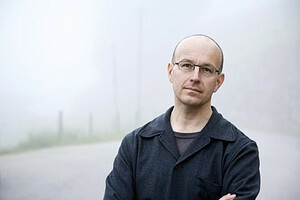 His works have been premiered by ensembles including the BBC Symphony Orchestra under Edward Gardner, Leipzig Gewandhaus Orchestra under Andris Nelsons, San Francisco Symphony under Osmo Vänskä, and Stuttgart Chamber Orchestra under Dennis Russell Davies, as well as by such artists as Leif Ove Andsnes, Isabelle Faust, Till Fellner, Matthias Goerne, Kim Kashkashian, Viktoria Mullova, Mark Padmore, and Christian Tetzlaff. Following the upcoming performances by the New York Philharmonic are the Czech premiere of Böse Zellen by the Brno Philharmonic under Nicholas Milton and the U.K. premiere of Chiasma by the BBCSO under Sakari Oramo. In addition to his awards for Symphony No. 2, Mr. Larcher’s honors include the International Category of the 2012 British Composer Awards, the Chamber Music Society of Lincoln Center’s 2014 Elise L. Stoeger Prize, and the 2015 Austrian Kunstpreis for Music. His discography, which includes four albums devoted exclusively to his music (on the ECM and Harmonia Mundi labels), has garnered several international prizes, including the Preis der deutschen Schallplattenkritik, the Choc du Monde de la Musique, and the Diapason d’Or. Mr. Larcher has been Composer in Residence at the Mozarteumorchester Salzburg, Wiener Konzerthaus, and Wigmore Hall, London, as well as at festivals across Europe. He is Artistic Director of the Swarovski Musik im Riesen Festival, which he founded in 2004 in Wattens, Austria. For more information, visit thomaslarcher.com. To listen to his music on Spotify, click here. Tickets starting at $33 may be purchased online at nyphil.org, by calling (212) 875-5656, or at the David Geffen Hall Box Office.